Individual eyelash extensions provide the most authentic and natural look. They are laid one at a time on each individual lash, making it a very time consuming process. The extension lash is glued to your natural lash one by one, and each session can last for about two hours. If maintained well, the extension lash would stay on your natural lash until for own lash falls off eventually. The false lash weighs a little more than your natural lash and so it might add some stress to it. The thinner variety of false lashes looks more authentic and is obviously lighter in weight than the thicker ones. 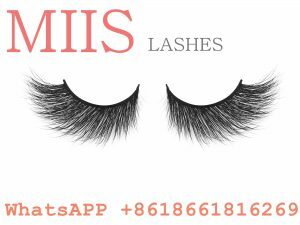 When you lay about 40 lashes over each eye, you would get a thick and full line of natural-looking lashes. You can mix and match thick and thin silk lash to maintain a balance between thickness and weight. Flares are not as good as individual lashes. They do not look as natural and can often cause damage to your own lashes. Since flares are made of a few strands knotted together, they can have a stiff, doll-like look. It might take quite a while for you to get used to wearing flares on your lashes. They also weigh more and are less comfortable to wear than individual lashes. Flares have a tendency to yank out your natural silk lash over time. So if you have a very sparse line of lashes, you could lose them all eventually if the flares pull them all out.